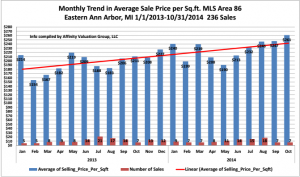 Ann Arbor Hills in Ann Arbor MI - See Our Home Listings! 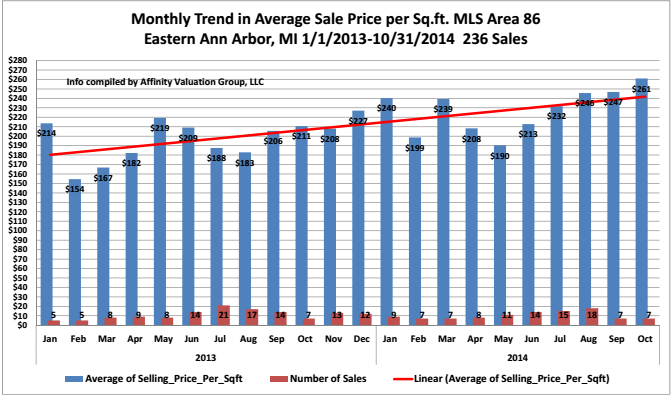 Ann Arbor Hills is an exclusively distinctive area in Ann Arbor, Michigan. Distinctively Unique and Distinctively Modern. A new style of home was being built with flat roof lines and low profiles. 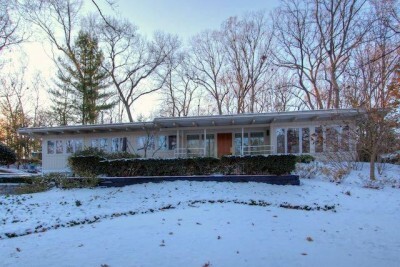 This Modern style home, also called Mid-Century Modern architecture is sprinkled throughout Ann Arbor Hills along with luxury Tudors, spacious Colonials and sprawling Ranch style homes. World War II brought new materials, such as steel and plywood, to the forefront of architecture and design, and helped to enlighten new ways of thinking about residential living. Ann Arbor Hills began taking on a brand new look. Between 1950 and 1970 the new, modern homes were designed by creative Architects George Brigham (1889–1977); Olencki & Albano (1922–2002); Alden Dow (1904–1983); and Robert Pond (1926–) to name just a few. These homes, built with flat planes, large glass windows, and open space, blended seamlessly into nature. Read more about these modern thinkers in an article MICHIGAN MODERN, Ann Arbor Modern, Ann Arbor Hills Tour. The entire Ann Arbor Hills neighborhood is shaded by the natural beauty of mature trees and rolling terrain. The parks and recreational areas offer indoor and outdoor activity for everyone. Bader Park; County Farm Park, which is a 127 acre park featuring cross country skiing, perennial gardens and nature areas, picnic pavilions and walking trails; and residents are just a short bike ride to Gallup Park, which is a fourteen acre woodland paradise filled with hickory and oak trees. If you like to golf, then play 18 holes at Huron Hills Golf Course. 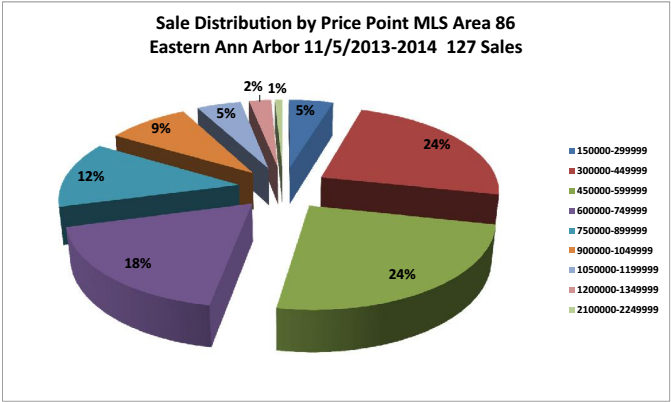 Ann Arbor Hills is located between Geddes Road and Washtenaw Ave on Ann Arbor’s east side. You will be minutes to local restaurants, shopping centers, the University of Michigan Central and North Campus locations. Ann Arbor Hills is within minutes of the US23 Expressway for an easy commute to Detroit and Detroit Metro Airport, approximately 30 minutes. If you are planning to move – Click Here to view one of our Listings in Lawry Hills neighboring Ann Arbor Hills, Ann Arbor, Michigan 48104. Take a tour of the available homes for sale in the Ann Arbor Hills community as soon as possible. These stylish single family homes will not stay available for long. The homes in Ann Arbor Hills are one and two-story traditional style residences with a style that emulates the historical surroundings of Ann Arbor. These beautiful three and four bedroom homes feature plenty of open space both inside and out. Homes in the Ann Arbor Hills community feature many modern amenities including central heating and air conditioning, formal dining rooms, one to two fireplaces, rec rooms, built in home security system, spa-like tubs in the master bath, Cherry, Maple or Kirkstone finishes in the kitchen, professional home theaters and outdoor pools. If you have been searching for a peaceful and upscale community to relocate to in the Ann Arbor area, you should definitely take the time to check out the many luxury-style homes that Ann Arbor Hills has to offer. Students who live in the Ann Arbor Hills subdivision attend schools that are a part of the Ann Arbor Public School District. The town of Ann Arbor has been a popular tourist spot for Michigan for many years. This historical location is home to many family oriented attractions that bring in visitors to the area each year.